This recipe is based on one I found online but I’ve altered the recipe slightly and put my own choice of fruit and nuts into it. 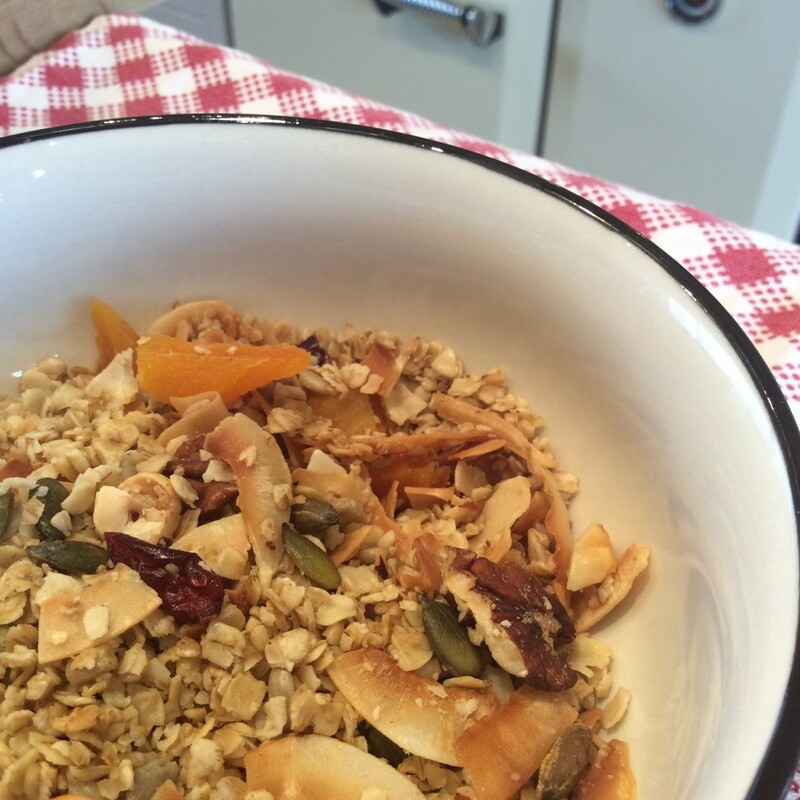 I prefer not to cook the dried fruit as I find it goes too tough and chewy, so I add it after the granola has baked. Gently warm the coconut oil until it melts and leave to cool slightly. 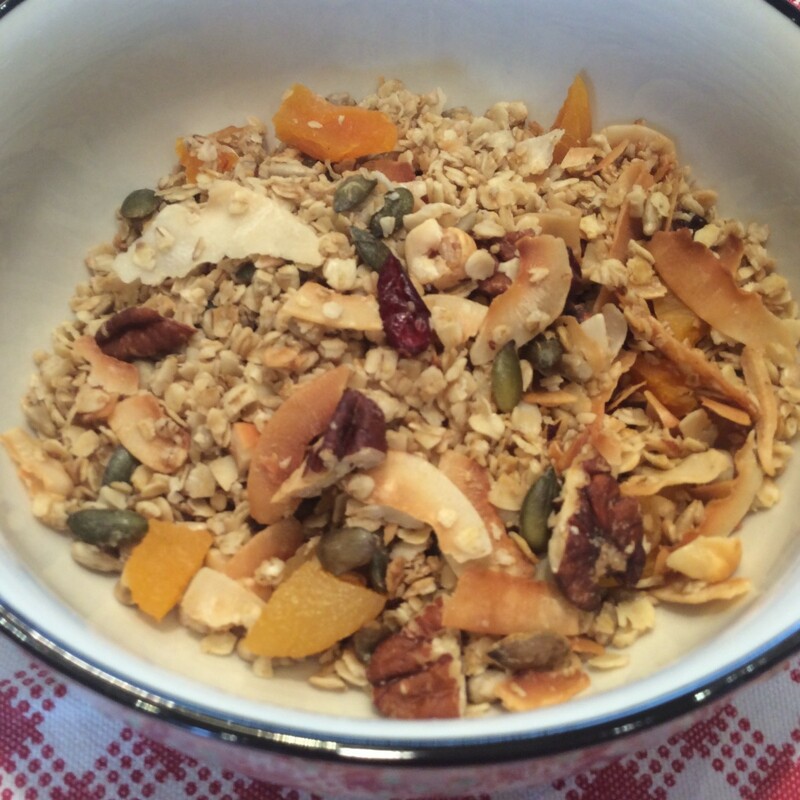 Mix the oats, seeds and nuts together in a large bowl. Add the maple syrup and vanilla to the melted coconut oil and stir well. Pour the coconut oil mixture over the dry ingredients, then work in well with your hands. Taste and add more maple syrup if needed. Line 2 large baking trays with baking paper, then divide the granola among them in a single layer. Don’t overcrowd it or it won’t crisp. Bake for 12 minutes, giving the granola a gentle stir halfway through. Keep a close eye on it to prevent burning. Remove the baking sheets from the oven and set aside for the granola to cool completely. Stir through the chopped fruit. Transfer to an airtight container and eat within a week.